No White Fillings for Children? I’m not sure what to do. I noticed that you see children and you do white fillings. Do you give the white fillings to children? My pediatric dentist says that’s not possible. I don’t fancy the idea of putting mercury in my son’s mouth and he has his first cavity. We’re just watching it right now, but want to be prepared. If it were your son, what would you do? Can Children Get White Fillings? I’m very sorry about your son’s cavity. To answer your question, yes, children can get white fillings, but it’s not always easy. The biggest problem is they have to sit very still because the composite resin has to stay free of moisture during the placement process. But, it can be done. Usually, just some nitrous oxide is all that’s needed to keep a wiggly child still during their filling process. In fact, most of them sleep through the procedure. It sounds like your pediatric dentist prefers to do things the way he’s always done them and isn’t that interested in keeping up with the advancements in dentistry. In your place, I’d find a new dentist, one who keeps up with the newer technologies and studies, especially when it regards putting a toxin in a child’s body. 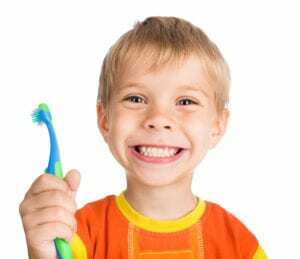 Can General Dentists Treat Children? Yes. Many general dentists love working with children. One way to know if they’re good with them is the age they first agree to see them. If they’ll see them in their toddler/preschool years, they love working with children. If they ask to wait until your child is about 8 or older, I’d look elsewhere. Parents find it convenient for everyone to go to the same practice. You can book everyone’s appointments and get things done in one day. Plus, a dentist knowing the parent’s dental history knows what to look for in the children. It helps prevent issues that their parents may not have been able to avoid.